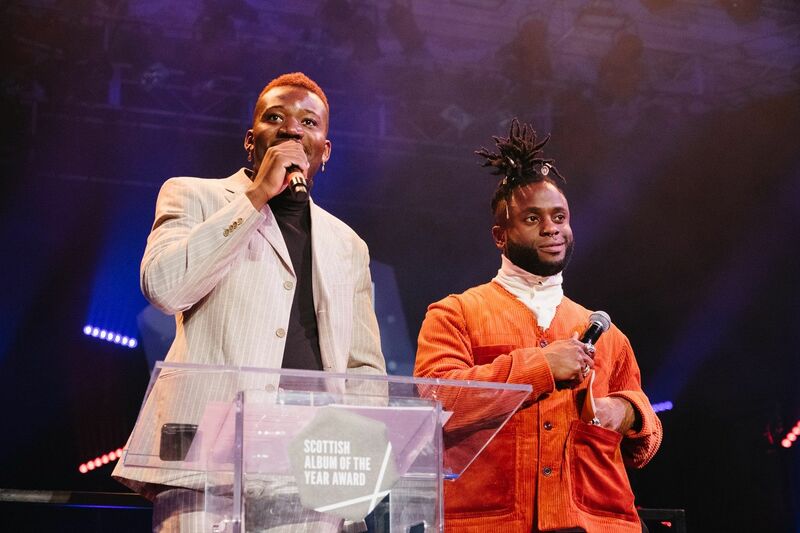 The 2018 winner of Scotland’s national music prize, the Scottish Album of The Year (SAY) Award, was tonight (Thursday 6 September) announced as Young Fathers for their album Cocoa Sugar. At a ceremony presented by co-hosts Vic Galloway and Nicola Meighan at Paisley Town Hall, the audience of music industry professionals from across the UK, engaged music fans and Scotland’s consistently strong mix of creatives celebrated as Young Fathers emerged as the winner, scooping the £20,000 first prize. The band also received an exclusively designed, album-inspired commemorative award, created by the winner of The SAY 2018 Design Commission, Geri Donnelly of Obsidian Ore. Formed in Edinburgh in 2008 by Alloysious Massaquoi, Kayus Bankole and Graham ‘G’ Hastings in 2012, they released their introductory mixtapes, Tape One and Tape Two. The trio then signed to Big Dada and released debut album, ‘Dead’, in 2014. Following an extensive world tour the band begin work on their sophomore album, ‘White Men Are Black Men Too’, which was released in 2015. Their album, ‘Tape Two’ won the Scottish Album of The Year in 2014 and four years later, the band now add their third studio album, ‘Cocoa Sugar’ to their repertoire. As well as Young Fathers claiming the first prize, the nine other Shortlisted albums (listed below) each won a £1,000 prize and bespoke commemorative award including a soundwave from each of the albums’ lead tracks. The Shortlist was chosen by a highly-respected panel of judges who rigorously listened to and considered each album as an artform. Gathering in Paisley on the night of the final ceremony, the panel deliberated and chose the winning album moments before it was announced publicly. Judges include Derek Robertson (Editor-in-Chief at Drowned in Sound), Davy Wales (Performer Development Specialist at PPL), Sarra Wild (DJ/Promoter), Stephen Allen (Head of Learning and Partnerships and curator of ‘Rip It Up: The Story of Scottish Pop’ at National Museums Scotland), Mark MacKechnie (Promoter at Riverside Festival / Electric Frog / Melting Pot), Bob Last (Co-founder, Fast Product), Caroline MacLennan (Director at HebCelt Festival), Rhiannon Mair (Producer with projects including Laura Marling, Bryde, Emma McGrath and Kimberly Anne) Rose McDowall (Musician, Strawberry Switchblade), Lynne Ramsay (BAFTA winning film director) and David Martin (Creative Director at Hidden Door Festival).